Note: There is a new straight line breakwater in front of the old breakwater. You enter the port by the red light house at the left side of the new breakwater. 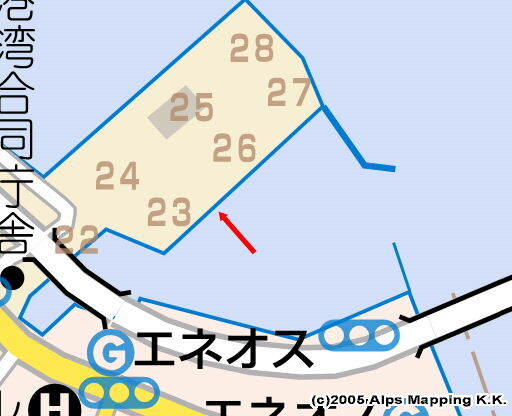 If you turn left before entering Naze Port, you will enter Daikuma Fishing Port, where Amami Yacht Club is. They say the location is not convenient for shopping. next to four mooring sail boats, there looked limited mooring space for just a couple of sail boats. You should ask Amami Yacht Club beforehand. Naze Fishing Port which has a long history is located in the right innermost side of Naze Port. 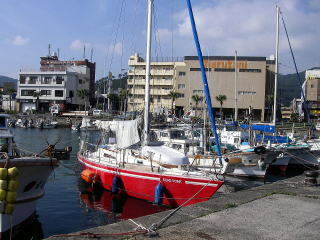 It is a calm port and located in downtown. Then, it is convenient for shopping and sightseeing. Berth: After entering the port, go to the quay which has an ice machine tower at your right hand. Put your boat at an open space between fishing boats. Then, ask around if the open space is for another fishing boat which returns later on. The fishermen are kind and favorable. There is not enough space though, about two boats can be put there. I was lucky because the captains of fishing boats both sides were good guys. When I moored, a typhoon was born. Then, the captain of the left side Tokuryo-maru allowed me to wait there for the typhoon to pass. 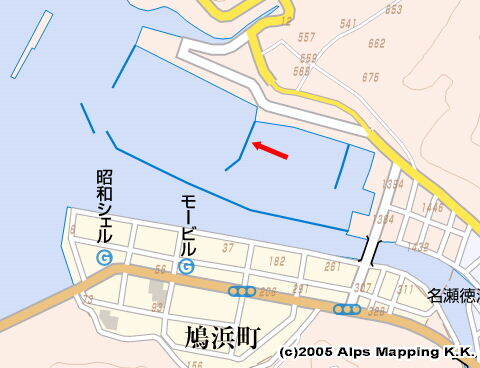 I put my boat between Tokuryo-maru and Kotoku-maru again in May 29, 2007.
gave me an advice that, as the captain next door was somewhat annoying, don’t tie up your boat to that boat. 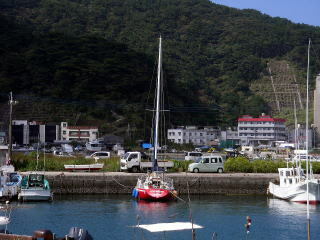 The boat name showed No.2 Shoei-maru. 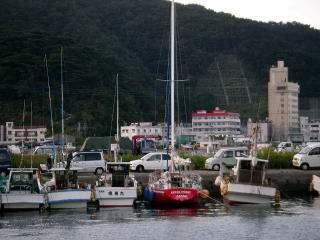 In the evening, the captain of Kotoku-maru came to his boat and told me “tie up with me”. The well-sheltered good port has no wave or swell. But, while the fishermen are kind enough, there is not enough open space to moor sail boats. because of landing fishes work. Water is available at the ice machine tower. you should pay some to fill up your boat tank. The door is locked at night. Toilets including western style are a few minutes walk away. There are many coin laundries at a few minutes walk away, next to a public bath house and so on. “Takachiho-yu” is a public bathhouse located a few minutes away. “Daiei” is the largest supermarket where you can buy anything. Another is on the way to the public bathhouse. The shop of Fisheries Cooperative Association is large enough to buy foods and fishing gears. From the port, you can see a gas stand. With my calling, their tank lorry came to my boat for fueling. 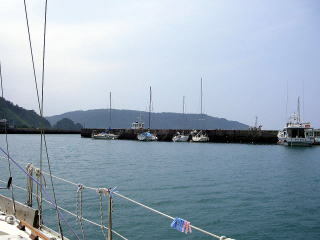 Naze is the largest town and port of Amami-oshima island.